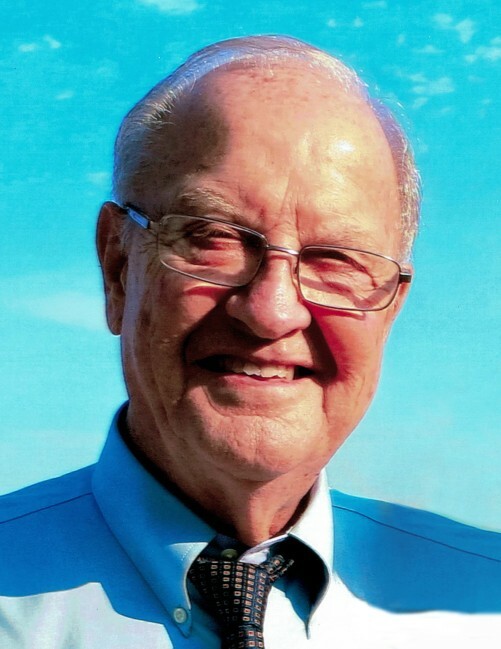 Roger “Buzz” Omdahl, 79, of East Grand Forks, MN, died on November 10, 2018, in his home under the care of Altru Hospice. Roger Lee Omdahl was born January 3, 1939 in Warren, MN to Alvin and Lillian (Knight) Omdahl. He attended school in Warren before graduating from high school at the Agricultural College in Crookston, MN, in 1957. Buzz married Treasure Ann Soltis at Our Savior’s Lutheran Church on November 14, 1959 and they raised three children while Buzz farmed near Warren. He was a founding member of the Warren Jaycees and a board member of both the local school and Bremer Bank. His favorite time of year was hunting season and he was able to be at the “Hunting Lodge” opening weekend this year to hear and to tell stories. He was taught by his father and enjoyed hunting with his sons, grandsons, and friends. He also enjoyed tractor pulling and gardening, taking pride in his roses. In 1989, he and his wife moved to Washington State where he worked at Boeing. He loved volunteering with Hospice of Snohomish County and received an award for his 18 years of helping patients and the agency. In 2007, they returned to Minnesota, making their home in East Grand Forks. Roger is survived by his wife of 59 years; along with their children Daniel (Carolyn) Omdahl, Lee Ann (Cam) Mader, and Eric (Tonya) Omdahl; grandchildren, Brianna, James (Alison), Michael, Mitchell, Aaron, Samantha, Travis (Amber), Allie, Isabel, Danny, Christian, Gaige, Charlie, Linsey, and Reese; and great-grands, Britton, Kason, and Chase; a sister, Betty Johnson; sister-and-brother-in-law, Marsha Soltis and Chuck Brien; and several beloved cousins, nieces, their spouses, and many friends. He will be buried in Greenwood Cemetery near his parents, Alvin and Lillian Omdahl. SERVICE: Saturday, November 24, 2018, at 2:00 PM, in Our Savior's Lutheran Church, Warren, MN.